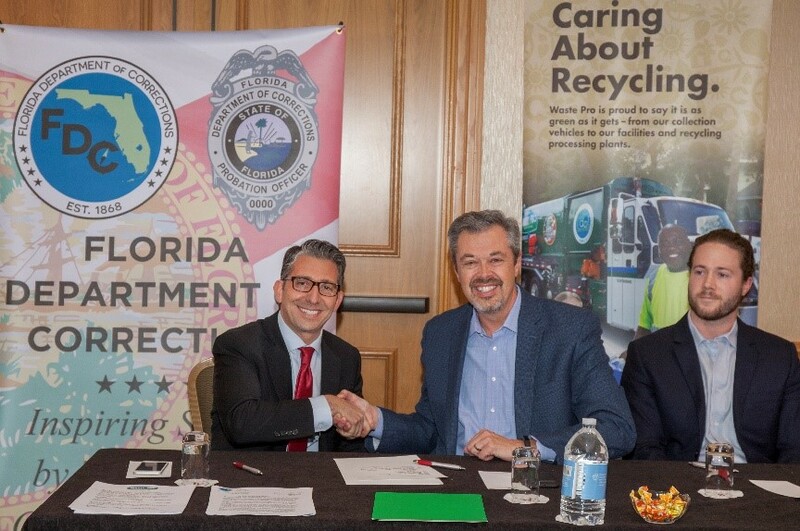 TALLAHASSEE, Fla. – The Florida Department of Corrections (FDC) is proud to announce a new employment program, in partnership with Waste Pro, for offenders under state supervision. The Department will initiate an application process and begin reviewing qualified offender candidates for vacant positions within Waste Pro. Recommended candidates will then begin the interview process with the company and undergo training once hired. Candidates can obtain employment through many different positions within the company such as general helpers, mechanics and drivers. Waste Pro, headquartered in Longwood, FL, is the 4th largest privately owned company in Central Florida, employing more than 2,100 individuals throughout the state in various roles. The Department supervises nearly 167,000 offenders in the community. The Department, and its community partners, have successfully aided in the job placement of more than 60,000 individuals since 2011. Research shows job skills and career placement significantly reduce recidivism. The goal of this partnership is to further help offenders obtain meaningful job placement which will, in turn, reduce recidivism and improve safety across the state.